Everyone knows that Las Vegas is an adult’s playground. 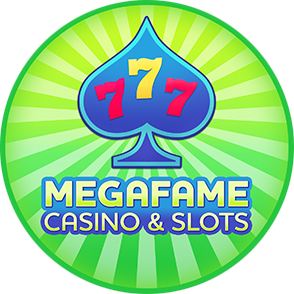 There is always action going on, from shows, to gambling, to parties. The summer is no different, and if you make the trek to the desert in the summer, you are going to need to cool off. 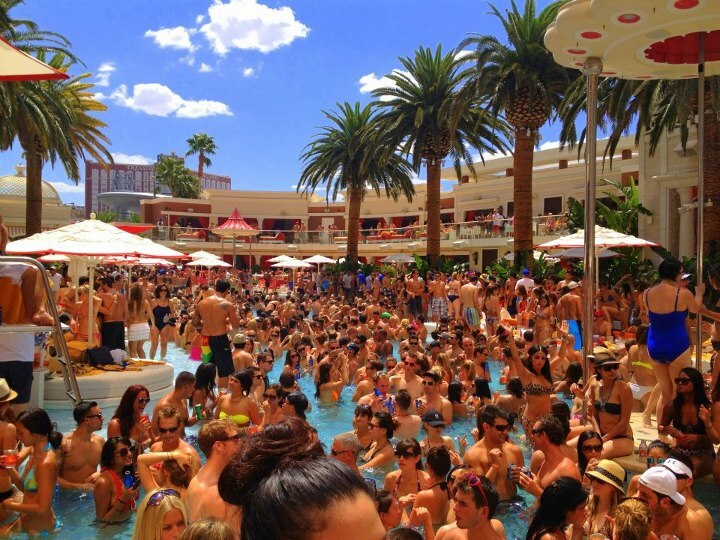 There is no better place to do this in Vegas than at one of the many rocking pool parties. Here are three of the best wet spots to mingle with beautiful people, dance the day away, and take enough social media pictures to freeze your profile. Rehab at the Hard Rock is the original, and still most popular pool party in the City of Sin. Routinely drawing in up to 7,000 guests, this weekend bash is the biggest on Sundays. Although men will have to cough up $50 to attend on a Sunday, it is well worth it when the drinks are flowing and the beautiful women are abound. 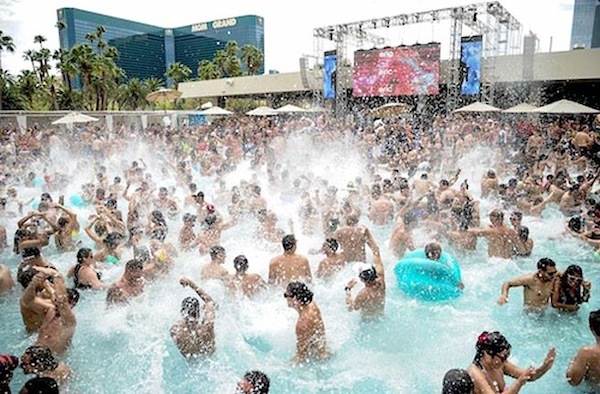 Wet Republic at MGM Grand is a hotspot for celebrity DJs such as Tiesto and Calvin Harris. Like Rehab, Wet Republic is a veteran of the pool party scene. When the sun is out, it is no surprise to see why people flock here, all to make a few memories. Plus, who doesn’t want to party with the likes of Prince Harry, who famously kicked off his vacation here last year? 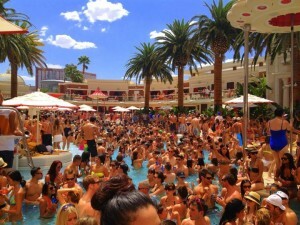 Encore Beach Club at Encore Las Vegas is newer addition to the pool party craze, and is changing the game. The sprawling, two-level opened two years ago and, today, continues to be a hotspot, both in the daytime and at night, Celebrity DJs such Aviici, David Guetta, Diplo are common performers and regular old-school artists like Lil Jon and Redfoo of LMFAO are no stranger as well. You are sure to see plenty of beautiful bodies here, with a policy that says if the bouncer doesn’t like your face, you can be denied entrance. Yes, the pool is that shallow!